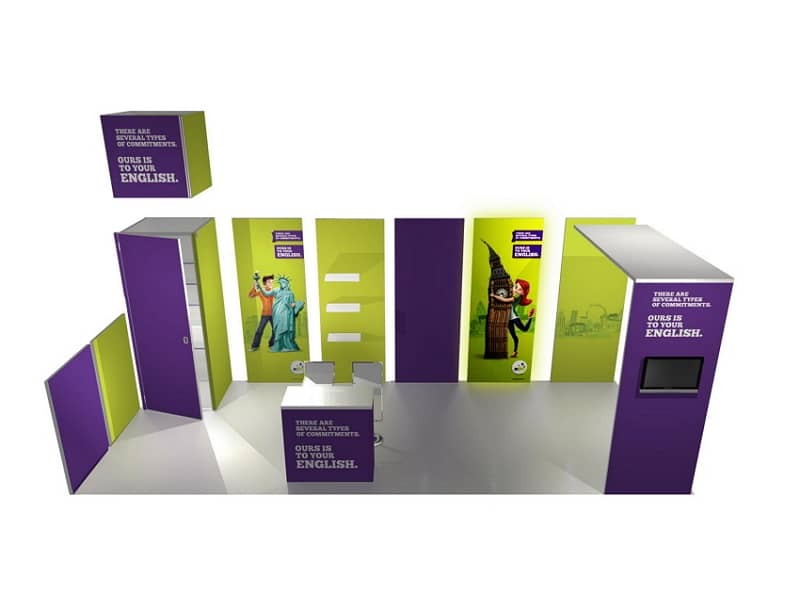 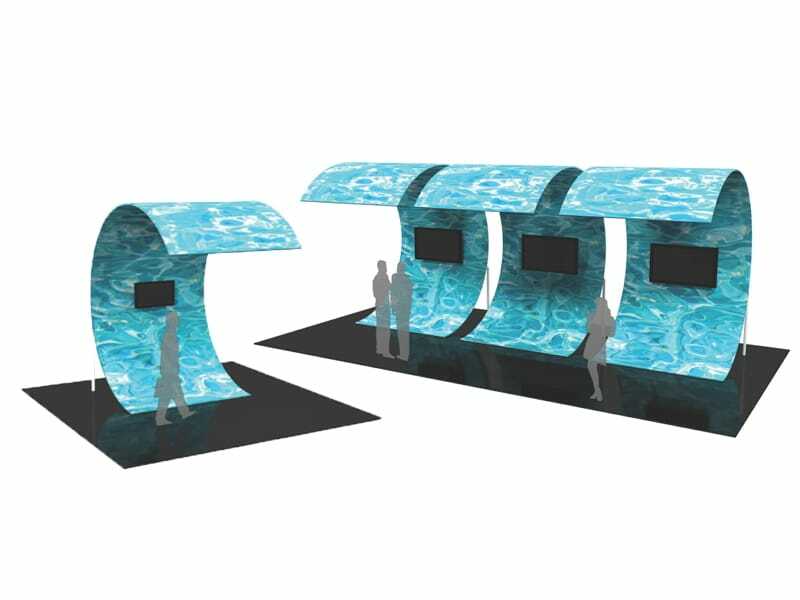 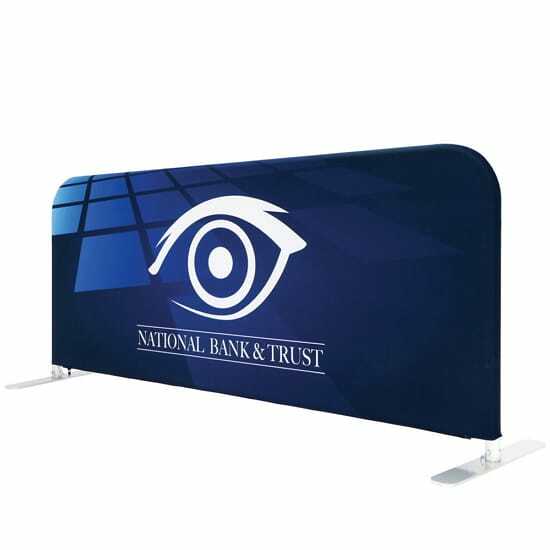 Catch your audience’s attention with our Tension Fabric Displays, the future of large, portable and affordable marketing display systems. 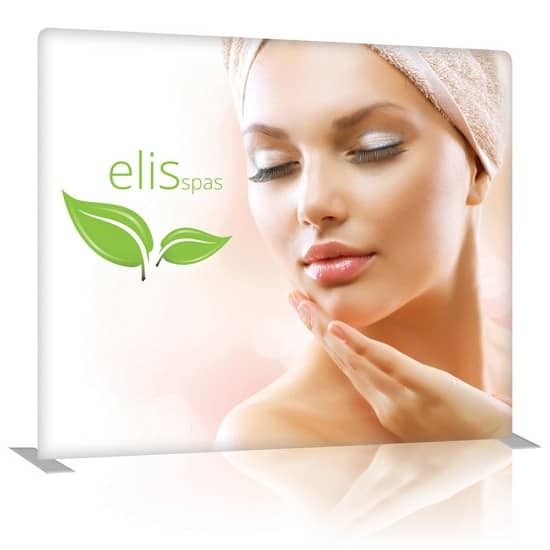 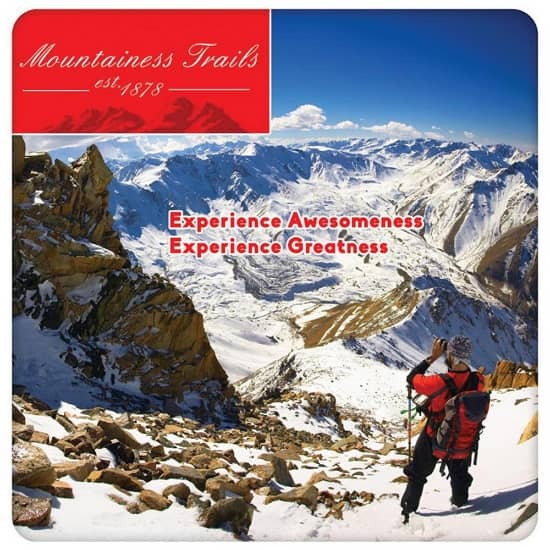 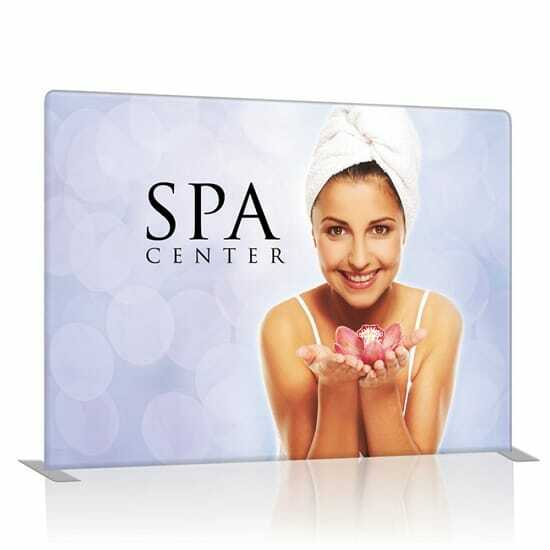 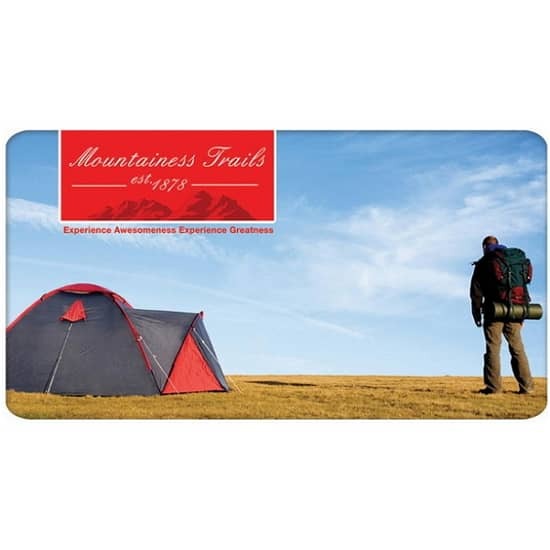 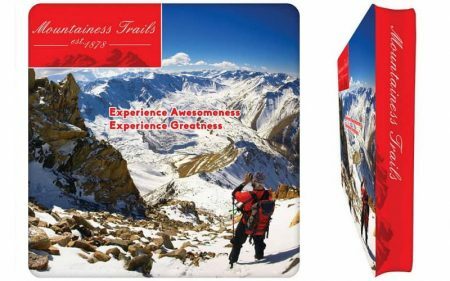 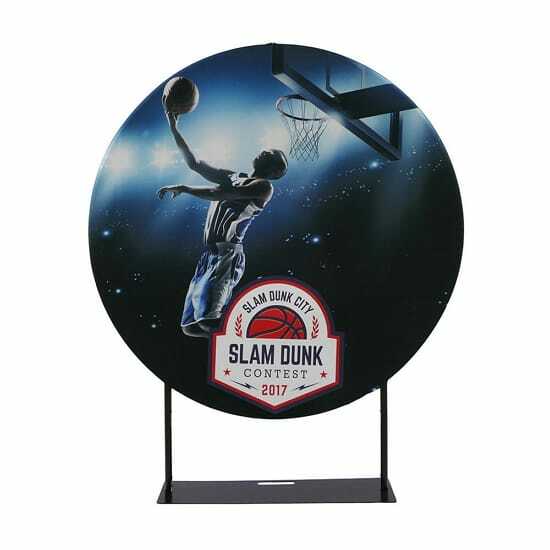 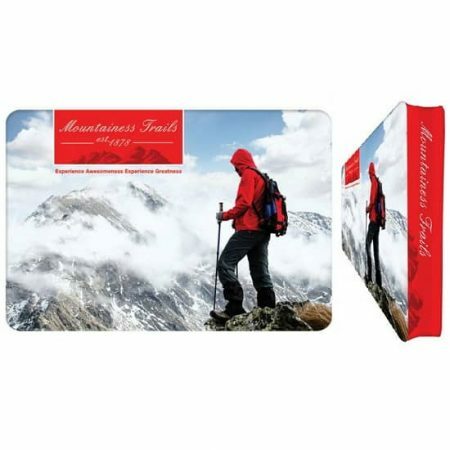 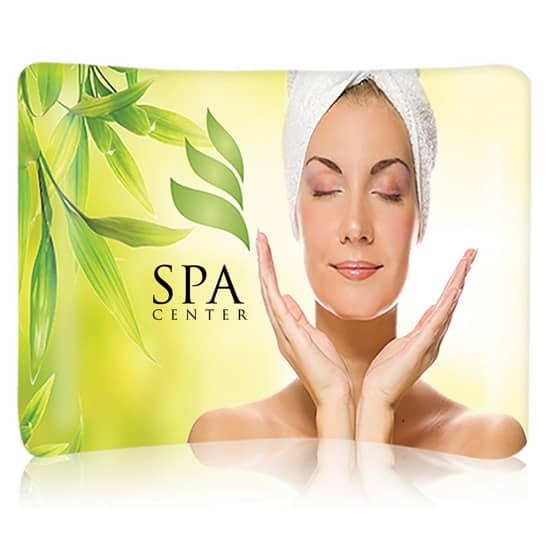 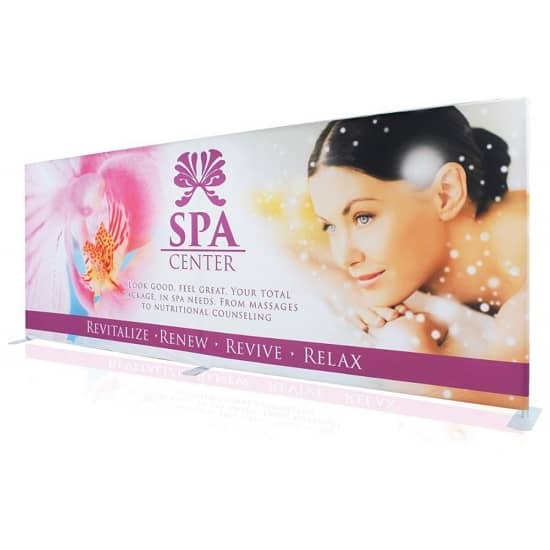 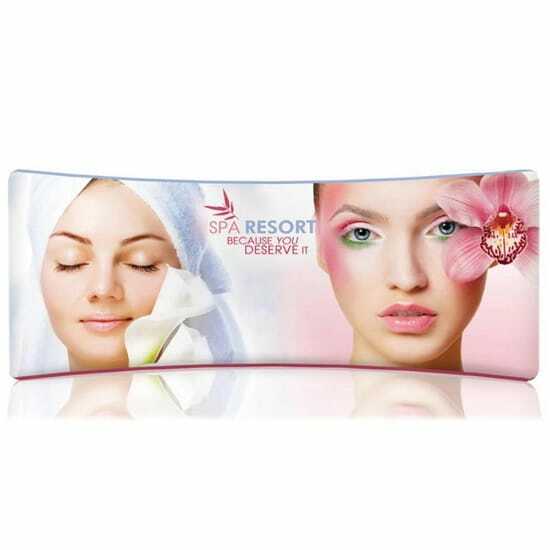 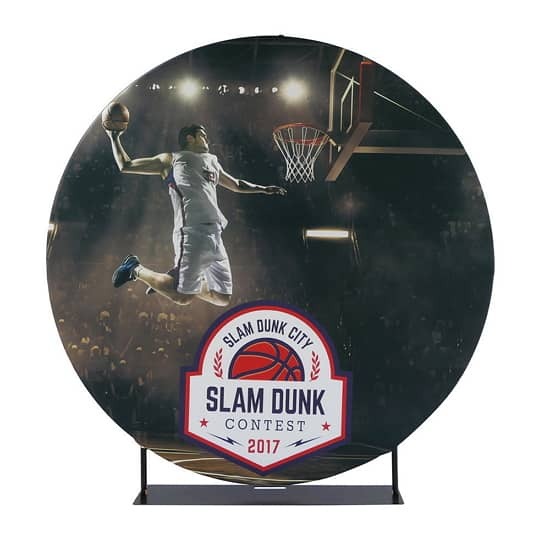 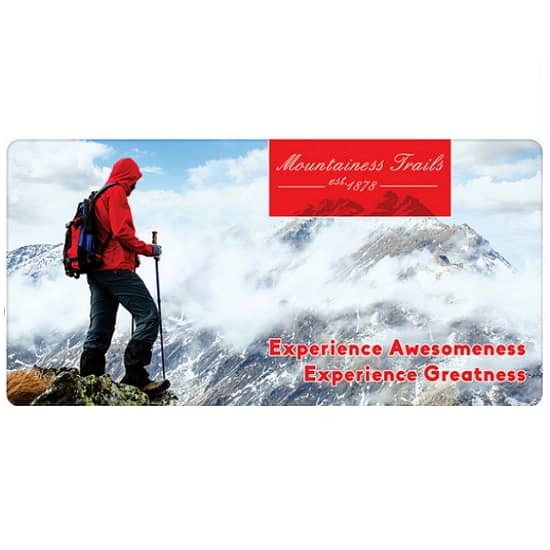 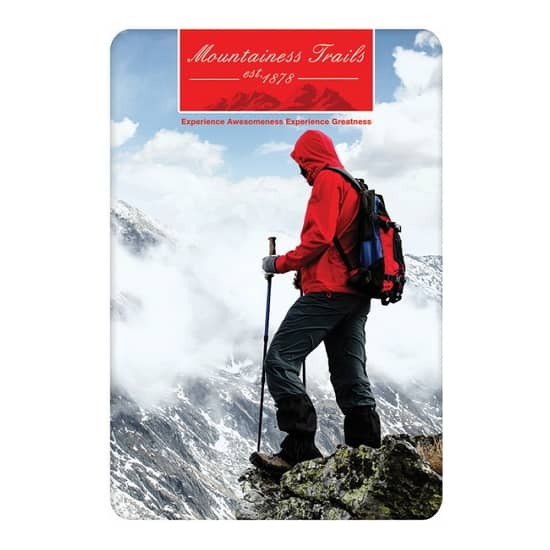 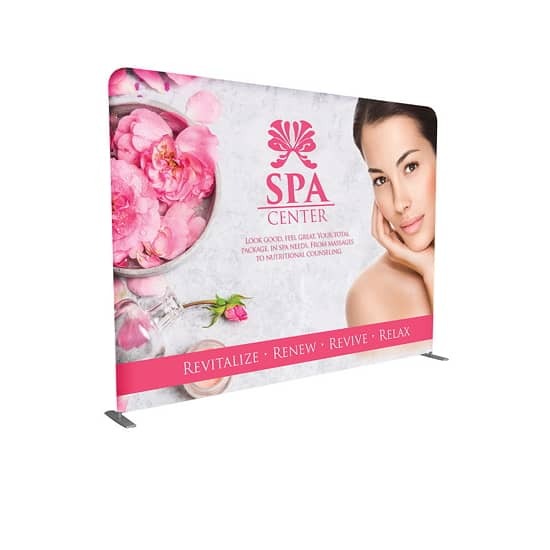 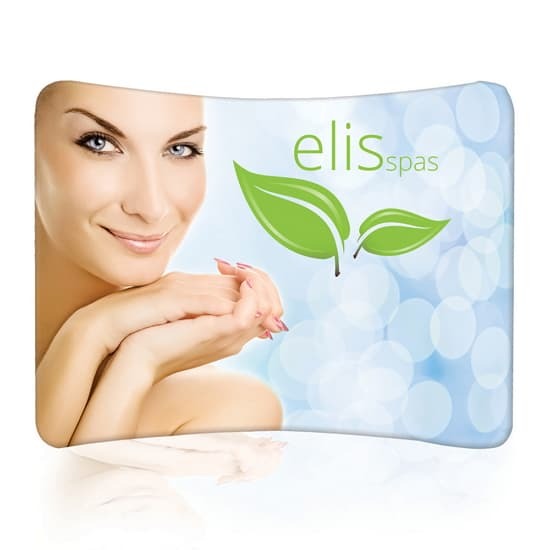 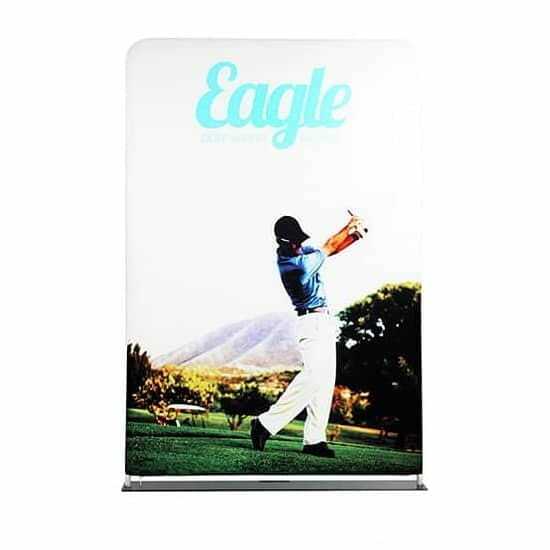 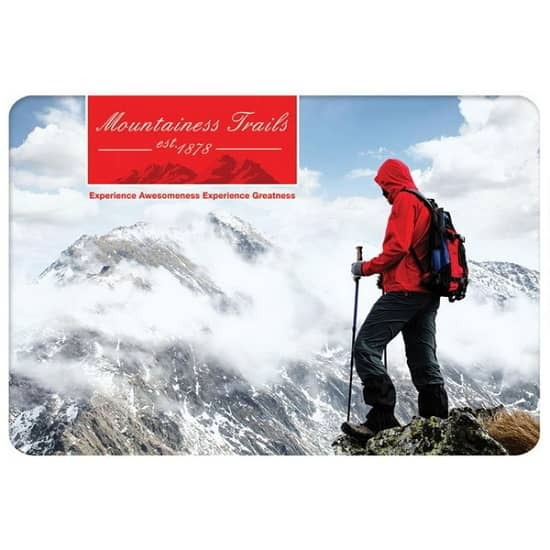 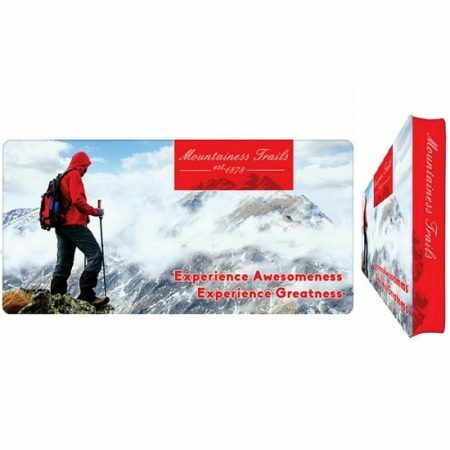 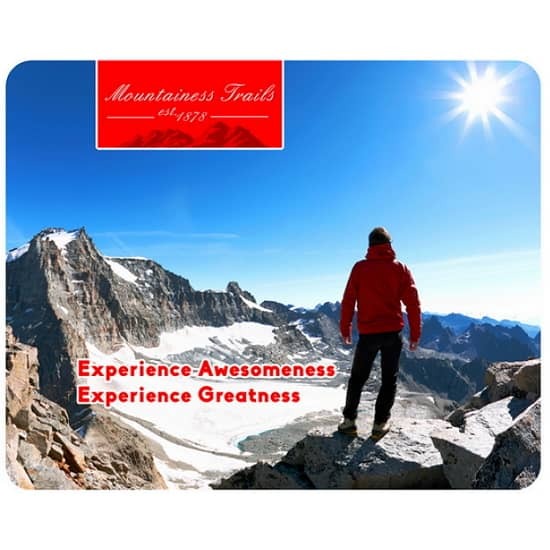 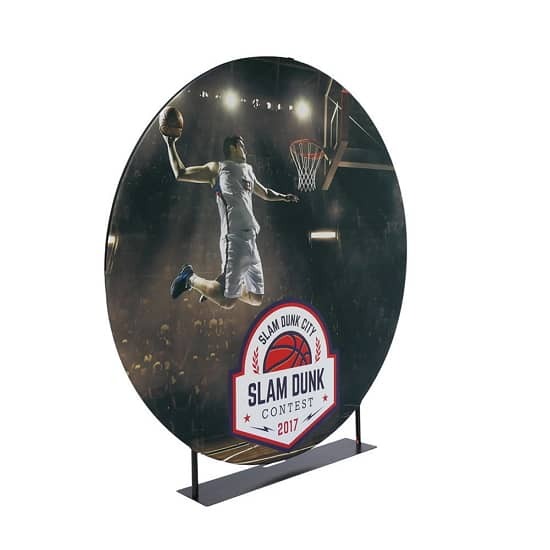 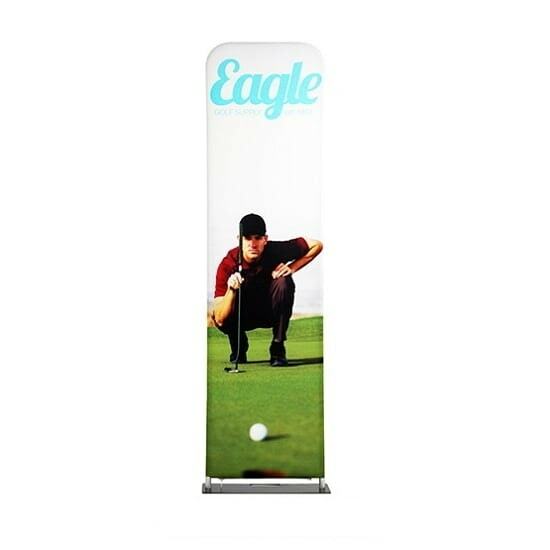 These lightweight displays provide a large surface area for your high quality custom graphics, printed single or double-sided with top quality dye sublimation, on stretch polyester that’s recyclable and virtually wrinkle-free. 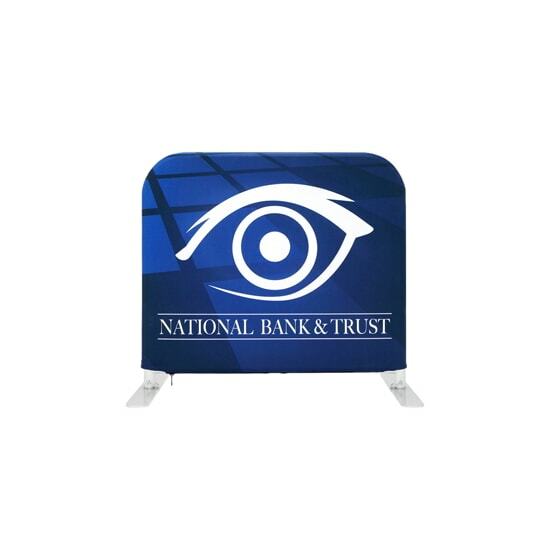 The tension fabric graphic is pillowcase mounted on a simple but sturdy frame of 1-1/4″ anodized aluminum tubing that snaps together in minutes for amazingly easy, tool-free assembly. 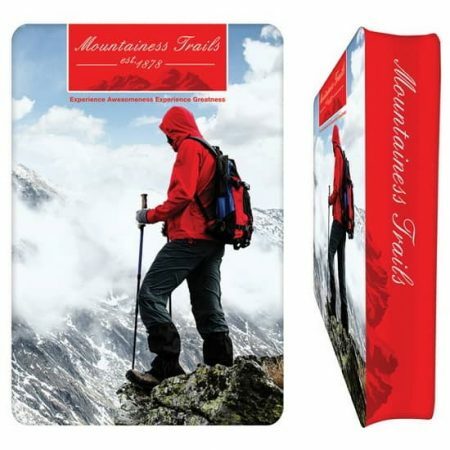 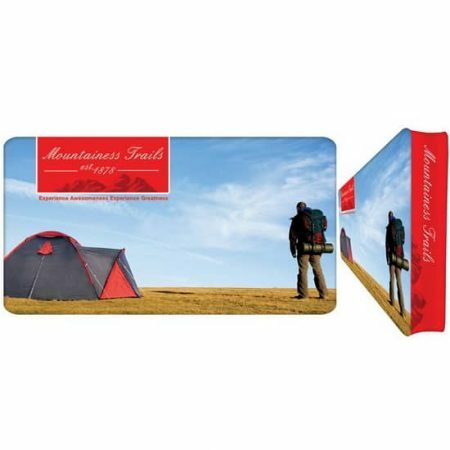 Each kit is then packed in a soft carrying bag for maximum portability and convenience. 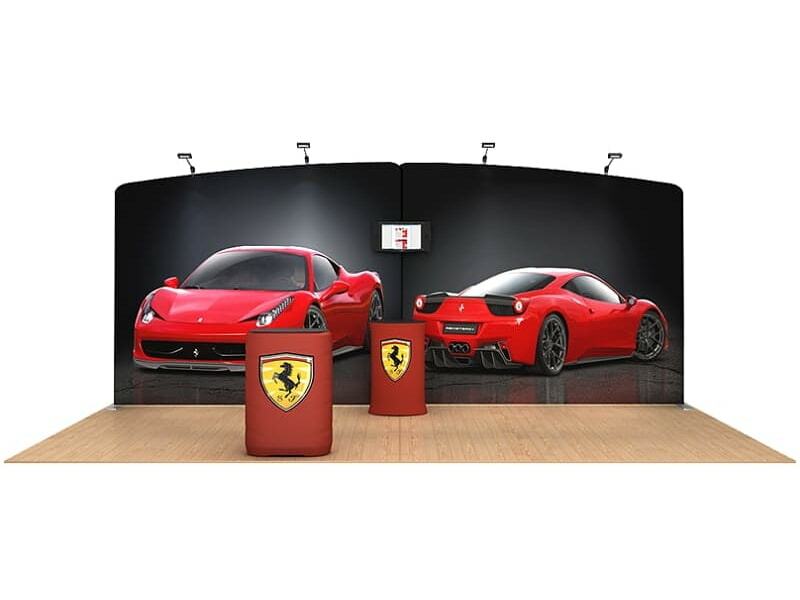 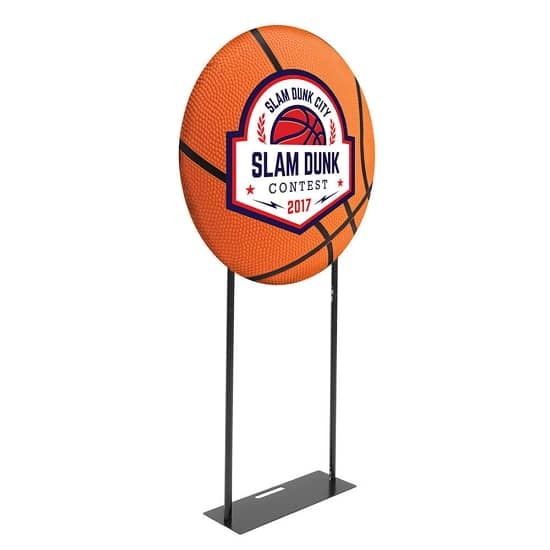 Expedite your banner stand setup time while adding lavish appeal with our newest Tension Fabric Displays the Tension Fabric Banners! 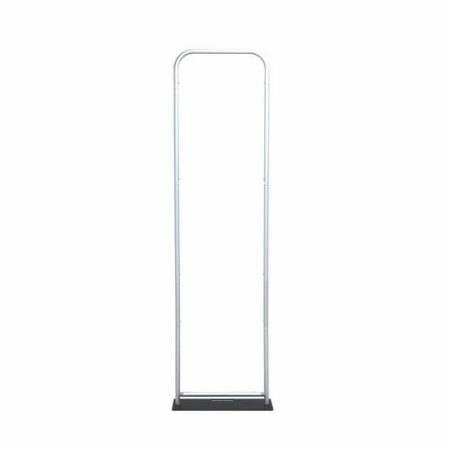 Hardware comes stock at 7.5ft tall with width options of 2ft-5ft and height options of 5.5ft, 8.5ft, and 9.5ft. 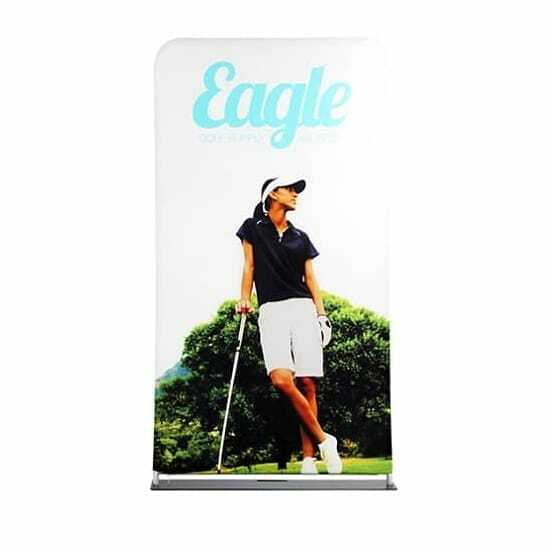 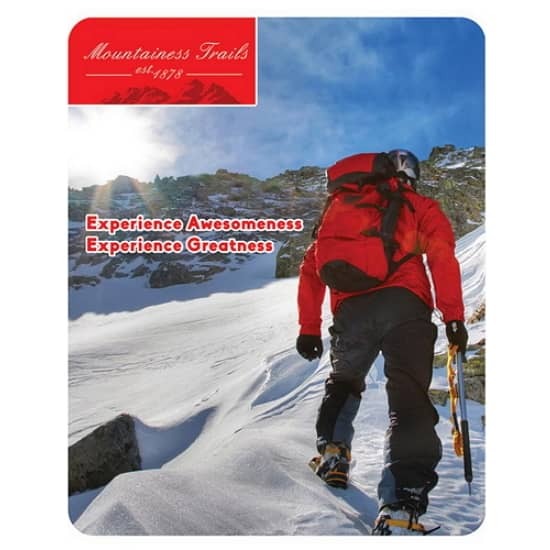 Customize a single-sided or double-sided dye- sublimated stretch fabric print. 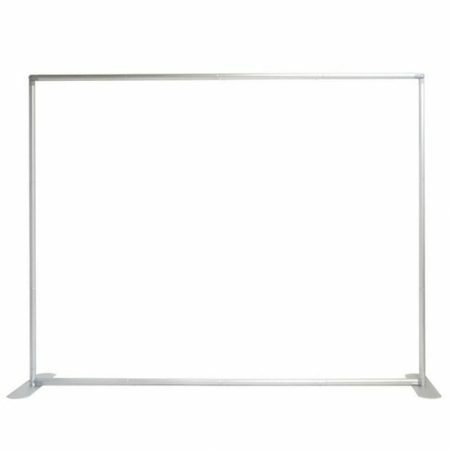 To assemble, secure the longest vertical poles onto the black steel base using the included allen wrench. 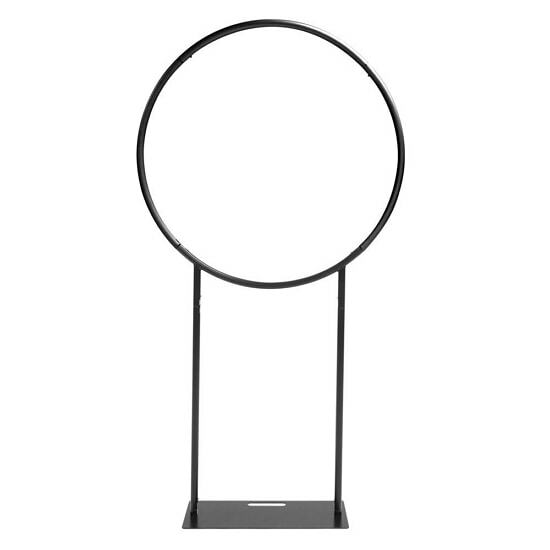 Add the bottom horizontal support pole and secure. 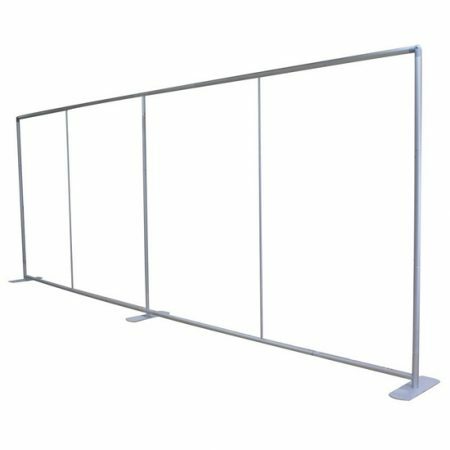 Snap on the remaining vertical poles, then top frame with the curved bar to complete. 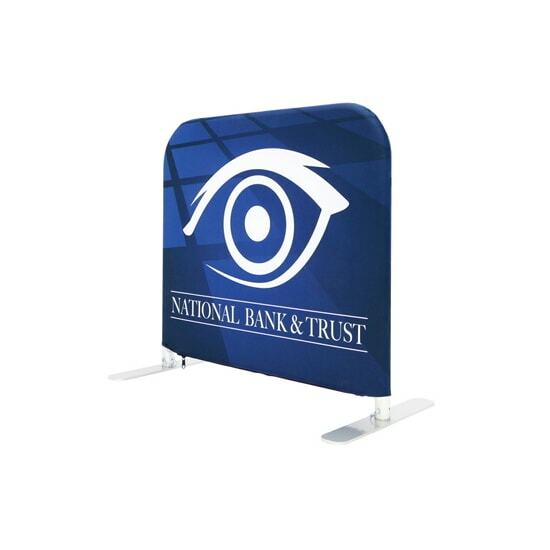 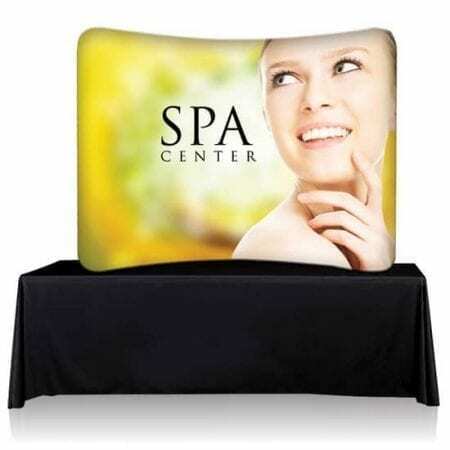 Tilt or lay down Tension Fabric Banners to swiftly drape with the pillowcase graphic. 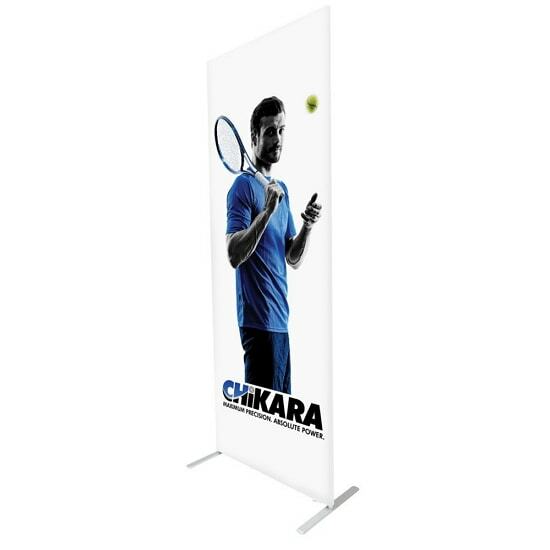 Using the industrial-size zipper, zip underneath the bottom support pole, maximizing fabric tension. 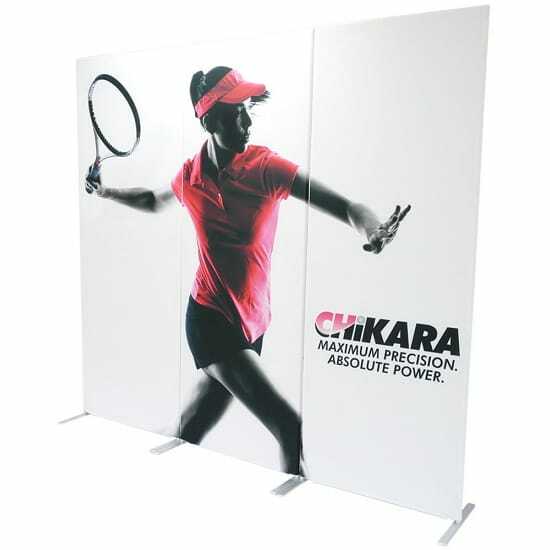 Introducing the new Back Wall Displays, a portable unlike anything you’ve ever seen. 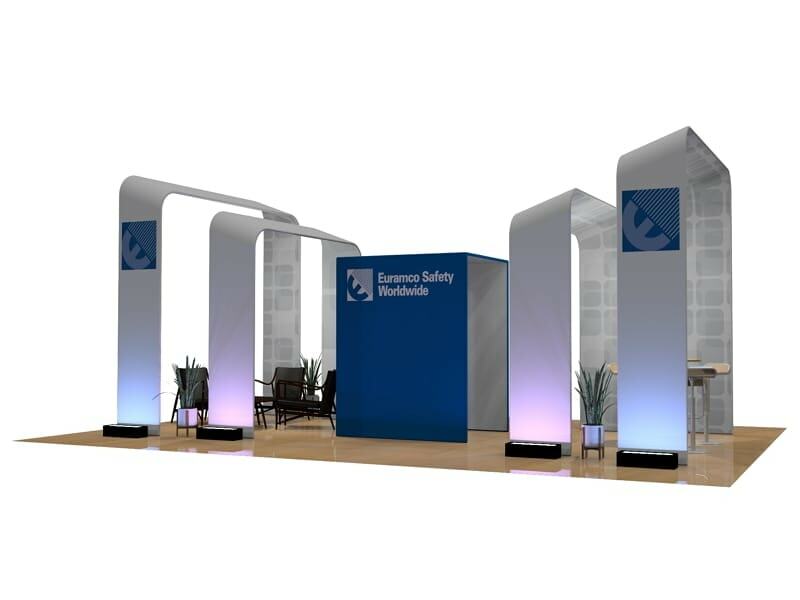 Your exhibitors will be in awe of its’ mighty size! 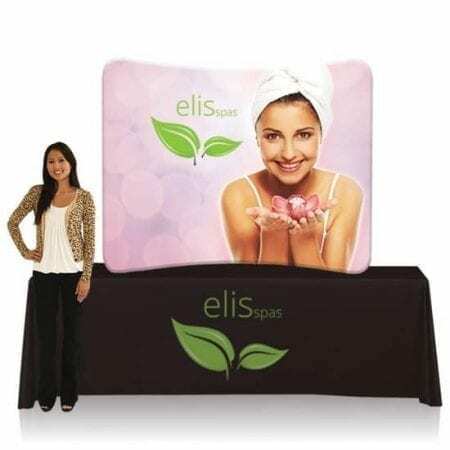 You’ll need a friend to help you set it up, but don’t let this giant dissuade you–it’s a completely tool free set-up! 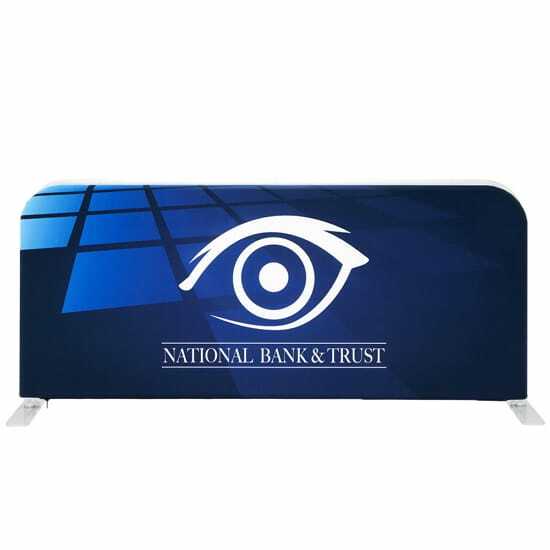 Using the same framework as our line of Skybox hanging banners, set up is a snap! 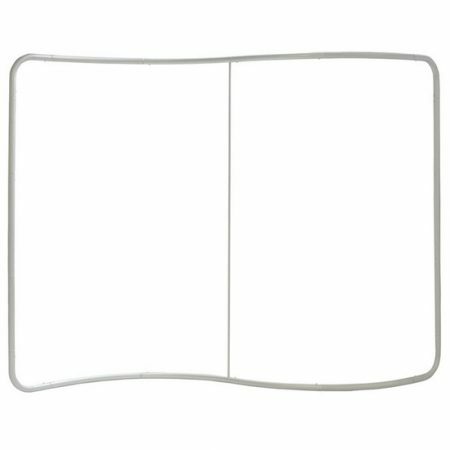 With push button snap locks, the tubes connect together. 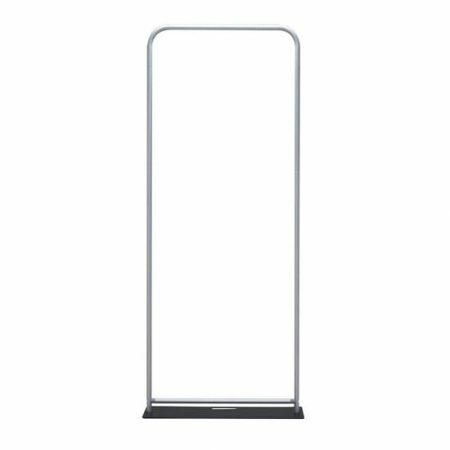 Use it vertically, stretching tall like a tower, or horizontally as a barrier. 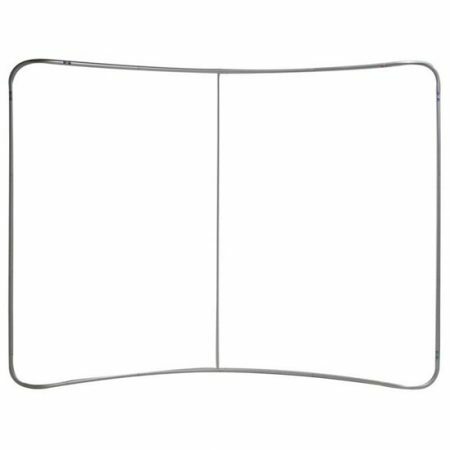 Fabric envelops the whole frame, and zips shut at the top, creating a soft, seamless look. 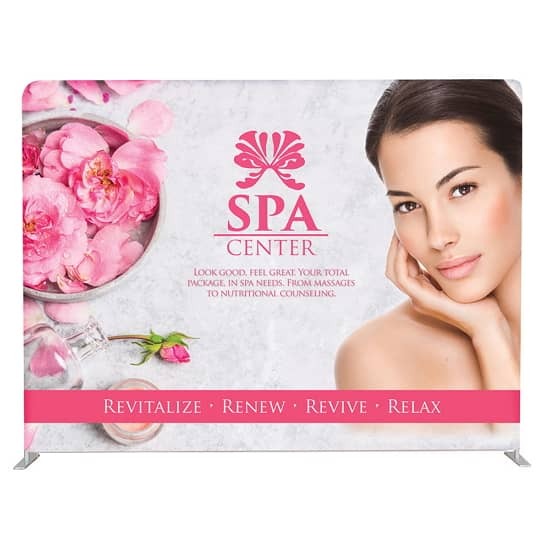 Printed graphics available on front, back, and all 4 sides. 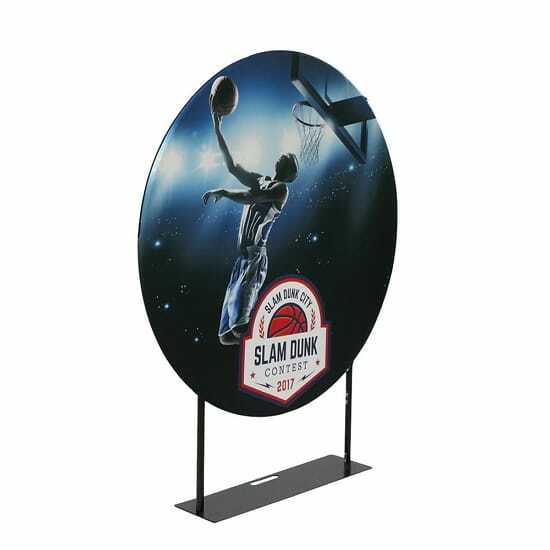 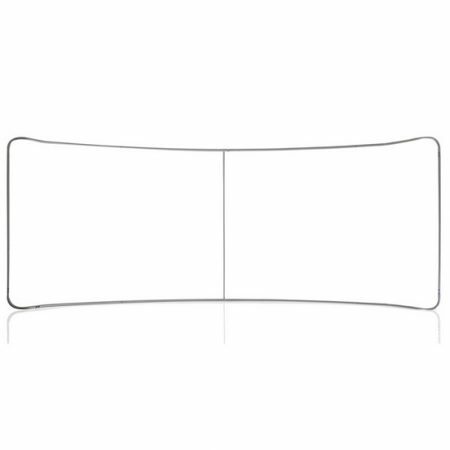 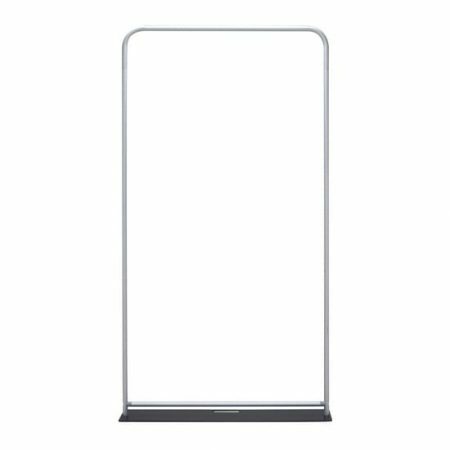 Hanging Hardware for 15ft or higher displays: For any Back Wall Displays 15ft or higher, it is recommended to secure the Back Wall Displays to the ceiling using the same hanging hardware as used for our line of Skybox hanging banners. 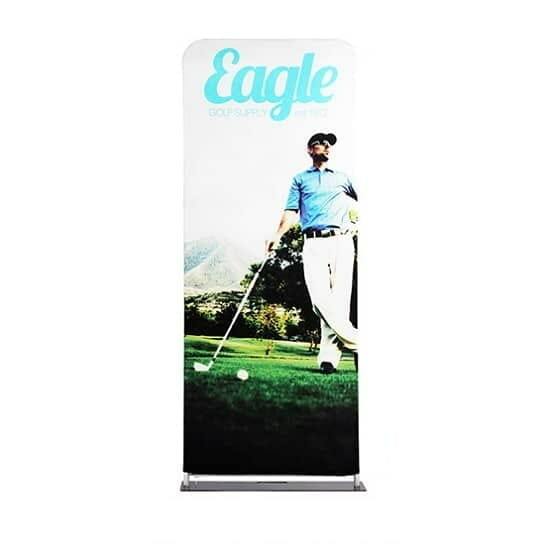 Accessories sold separately.